Matt Alexander is the owner and editor of ONE37.net, a writer, a technology enthusiast and a contributing writer for The Loop. In November I reviewed the Kindle Touch, and I was a fan. Jim linked to my review and simply said: “I still don’t get the Kindle.” Honestly, as simple as that is, he makes an important point — If you can have one device that accomplishes everything, like an iPad, why carry another? The most obvious answer lies in the e-ink display used in all e-readers. For me, I see the e-ink display as an impressive technological leap. Just a few years ago, the only interface comparable to paper was paper itself. Now we have a paper-like technology for displaying words and images. Having said that, while it’s a great leap and all, it is clear that the technology is inherently stunted. E-ink is slow to refresh, it has ghosting issues thanks to page caching, color is not yet practical, and full motion animation is still a long way off. Of course, the technology exists to rectify some basic e-ink issues, but these solutions are not yet available. But when you think about it, even if they were at market, would an e-reader still be an e-reader with such technology? E-readers are targeted products built with the aim, as I wrote in my Kindle Touch review, of providing a compelling “replacement for the venerable and inherently simple printed word.” They are cheap, lightweight, have long battery life, and operate well in direct sunlight, but they do little more than present traditional literature in an electronic package. And while that might be enough for some, it is clear that e-ink is progressing towards a colorful, responsive, video-capable future, and that is certainly not what constitutes an e-reading device. That is a tablet. Thus, it becomes painfully obvious that e-ink is a life-limited concept. The e-ink version that many love is fundamentally hamstrung by its technology. People buy Kindles and Nooks because they are cheap, present books in a book-like manner, and are easy to carry around. But, as Jim highlights, does anyone really need an extra device to carry around? Yes, e-readers are cheap, but the technology behind them is set to directly intersect with the development of pixel-dense, retina LCDs, and feature-rich tablets. Aside from improving refresh rates, making it lighter, and tweaking its display, the e-reader can only grow so much more, meanwhile tablets are constantly evolving and changing. The Nook Color embodies this trajectory, insofar as Barnes & Noble attempted to introduce a matted screen to seduce e-ink aficionados to their tablet ecosystem. Alternatively, say Amazon was to build a Kindle that was capable of reading, but also of full, high definition image display, and video playback, amongst other features. Well, you’d end up with something a lot like the Kindle Fire. And really, the naming of these devices, the Kindle Fire and the Nook Tablet/Color, is resounding evidence of the looming death of dedicated readers. The Fire is sharing the Kindle name not only because it helps in marketing a new product, but because the concepts are on an inevitable path toward merging. The e-ink Kindle is limited, but with the converging technology in displays, its brand and legacy will live on in an entirely different form. The e-ink Kindle and Nook will fall into a niche category, while tablets (or similar) will continue to thrive. Look at magazines on the iPad. The first Condé Nast editions were glorified PDFs. Now they contain rich, interactive media. While I’d say there is much evolution to come for magazines, the e-book, above all others, is overdue for modernization. I love my Kindle Touch for what it is, but it does little to take the concept of the printed word and evolve it. The e-ink display serves its purpose well, but as the concept of the printed word evolves, so too must the technology around it. E-readers, as it stands, are incapable of abiding by this principle. If you don’t believe that e-readers are falling behind, look no further than the Touchpad fire sale. A tablet sporting a dead operating system became the object of enormous hunts for a matter of weeks. I’d argue the sheer excitement over getting hold of a cheap and capable tablet is telling. E-readers do not seek to be tablets, but the technology behind the e-reading medium is unquestionably moving in that direction. Dedicated devices like e-readers are falling behind in the face of powerful, multi-faceted alternatives. That’s not to say I don’t appreciate the differentiation of e-reader and tablet — I do. But with rumors of a retina display equipped iPad, and the obviously quickening rate in increasing pixel density, it’d be foolish to not see their forthcoming obsoleteness, particularly for the average consumer. The concept of electronic paper, to me, sounds dazzlingly futuristic, but here I am calling it doomed. 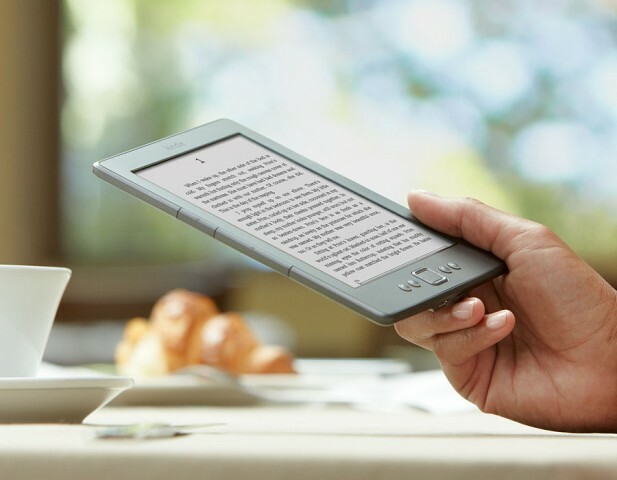 The e-reader’s purpose is, ostensibly, to serve as a stopgap measure until both e-ink itself and LCDs evolve to the point of intersection — and that does not seem too terribly far off. Tablets are losing weight with each iteration, prices are lowering, battery lives are lengthening, and soon, everything that makes e-readers wonderful products will be assimilated into other pieces of technology. E-readers are playing an important role today. They fill a void that tablets cannot fill. They patch a gap that cannot be patched technologically. At the same time, manufacturers are working to build compelling, readable displays that are not hampered by the problems of e-ink. The Amazon and Barnes & Noble pseudo-tablets embody this coming shift, and while they do not succeed in replacing the desire for an e-ink device yet, does it really seem too far off before they can?